In our last post, we discussed the role of saliva in our body. In reference to teeth, enamel is the hardest structure of our body. Enamel protects the teeth’s underlying dentinal structure and nerve cavity. Bacterial and acidic challenges, together with occlusal wear that occurs over time, are the primary destructive mechanisms to our enamel. Find out about the acid-base balance in our body and how saliva plays a major role protecting enamel from damages. All the functions in our body work with different mechanisms. The body uses a variety of physiological functions to achieve balance or equilibrium within its internal environment. This balanced function in our body complex is called homeostasis. For example, although the temperature outside may be high or low, your body steadily maintains its internal temperature. The same principle applies to our mouth. The mouth stays at pH of 6.3 or close to neutral. The acid-base balance of one’s oral environment is under constant challenge all of the time. It happens during every meal we eat and when bacteria populate the oral cavity over time. Enamel and hard tooth structures demineralize at pH of 5 or 5.5. During the demineralization process, calcium ions from our teeth leave enamel and make them weak or porous. That is until saliva can assist saturating the enamel back to its original form. 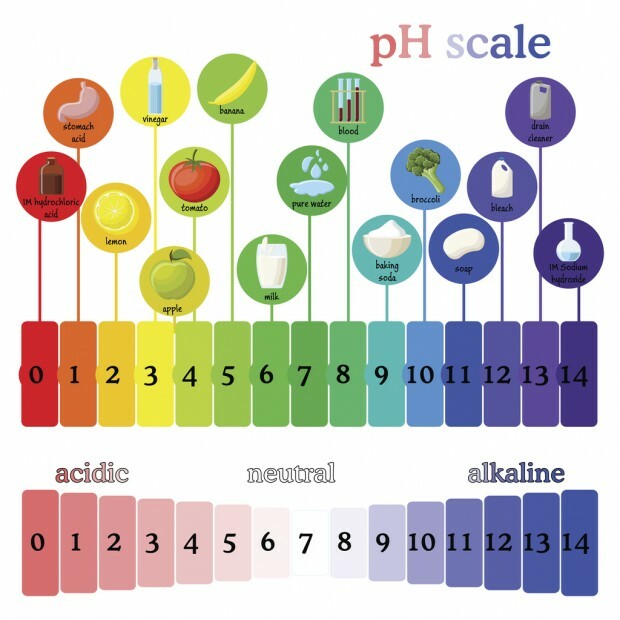 It’s important to remember that even the pH of wine ranges from 2.5 to 3.5, being quite acidic. Saliva contains components such as calcium and phosphoric ions, bicarbonates, salivary proteins, and enzymes. Bicarbonates (H2CO3) are central to maintaining acid-base disturbances happening in our oral cavity. This occurrence is based Henderson equation and the Law of Mass Action, where products of concentrations on one side of the equation are proportional to the products made on the other side. Carbonic acid (H2CO3) buffers the pH of saliva in acidic challenges, maintaining the neutral environment at 6.3 level. Normally, saliva functions as a “bathing” solution around our teeth, being strongly saturated with Calcium, and Phosphorus. These mineral ions are there to protect enamel and teeth from weakening due to acidic attacks causing demineralization. They are ready to rebuild enamel in this constant exchange process and strengthen the teeth’s hard structures. Damage can occur if acidic attacks are too frequent, the acidic environment prevails, and saliva does not have enough capacity to aid in neutralization. The teeth are subjected to tooth erosion, increased tooth wear and in the presence of bacteria tooth decay. To add to the complexity of oral health, we also need to understand that every person is different, along with their buffering capacity of saliva. That explains why some people have more cavities and are more prone to developing them. Those patients are significantly disadvantaged, and dental care is challenging and expensive. Understanding those challenges and principles helps dental providers in caring and managing of those patients in need.